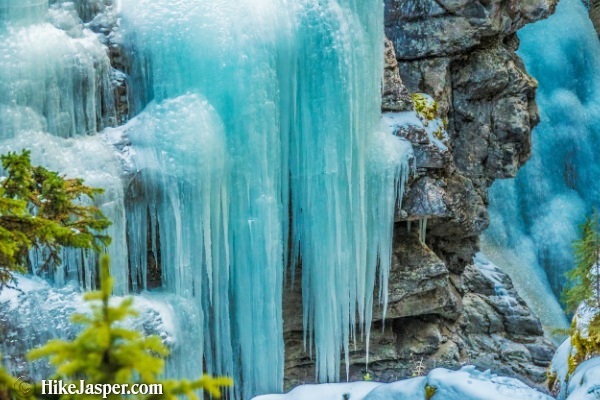 Guided Maligne Canyon Ice Walk from Jasper - Spectacular icicles and frozen waterfalls hang along Jasper's Maligne Canyon rock faces. 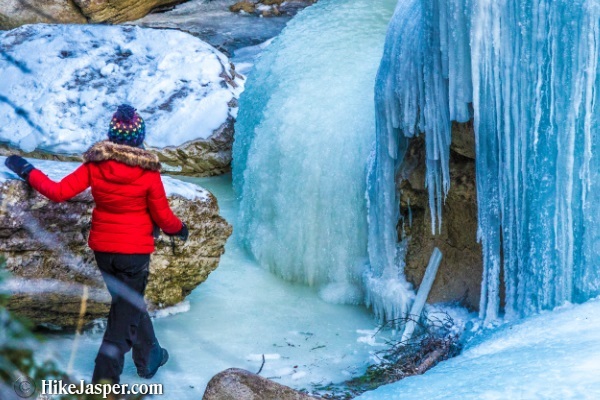 Maligne Canyon Ice Walk Considered Unsafe for Ice Walking in the Canyon itself as of March 24th, 2019(due to warm temperatures and melt). Hiking Distance about 2-4 km, depending upon choice. 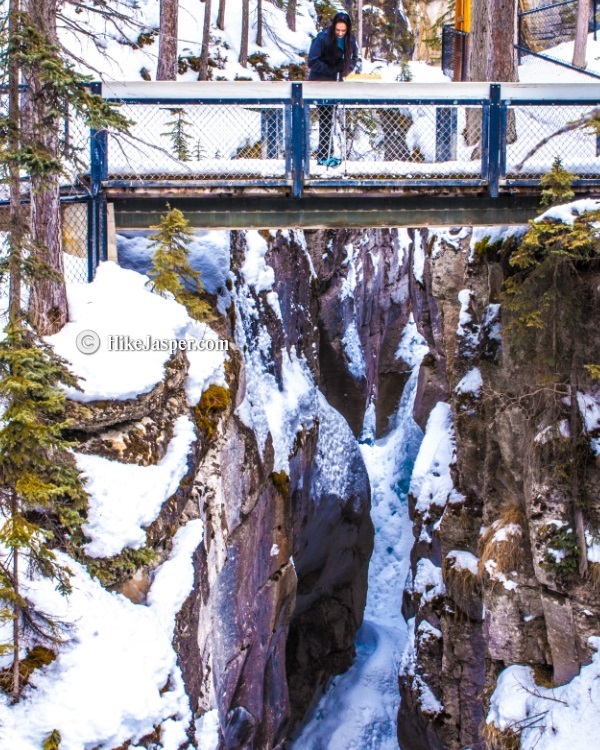 The Maligne Canyon Ice Walk.. This 3-hour icewalk adventure leads you deep inside the canyon along its icy floor. 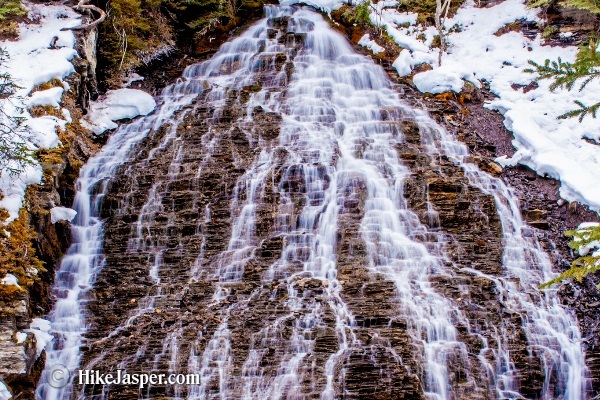 Explore Maligne's rocky maze of sculptures, ice caves and fossils, along with spectacular waterfalls naturally frozen in time. 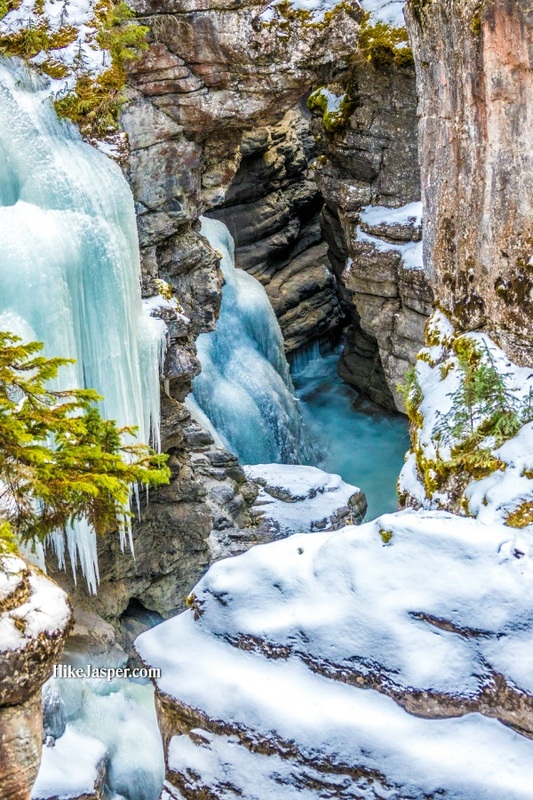 The Maligne Canyon Icewalk is designated as a signature experience by the Canadian Tourism Commission, due to its unique geological features and outstanding beauty. 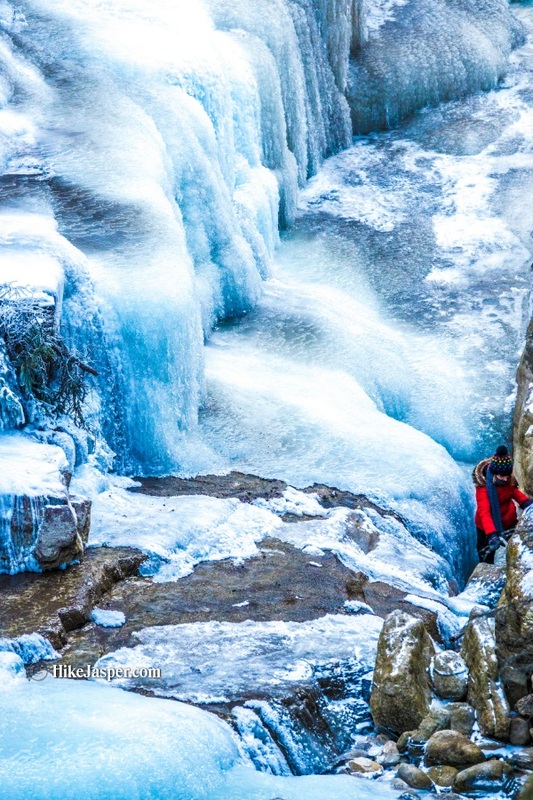 Daily Maligne Canyon Ice Walk Experiences..
Daily icewalks are offered at 9am and 1pm. Alternatively, join the 6pm 'Headlamp Tour' to experience the icewalk in twilight ambience. 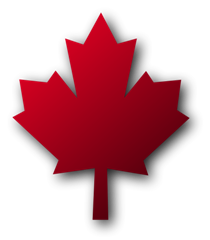 The tour duration is 3 hours which includes 2 hours of walking at a relaxed pace. Suitable for ages 7 and above. 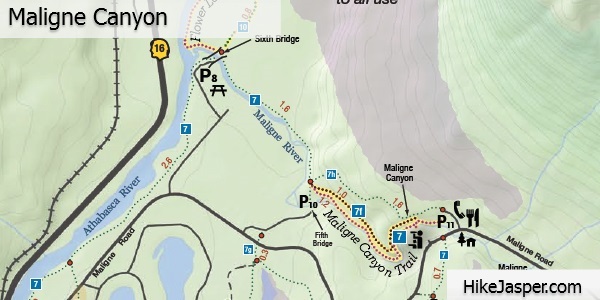 The majority of Ice Walks begin at the Fifth Bridge, which offers fairly easy access to Maligne Canyon's amazing winter experience. You can also gain access by starting at the 1st or 2nd bridges and hiking down past the fourth bridge. Parks has placed new entry gates in places to offer safer access. 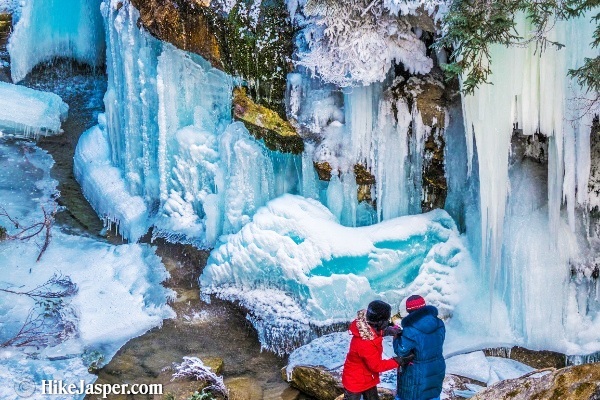 Being the deepest accessible canyon in Jasper National Park, you will be sure to enjoy exploring the frozen waterfalls, ice caves, and incredible ice formations. 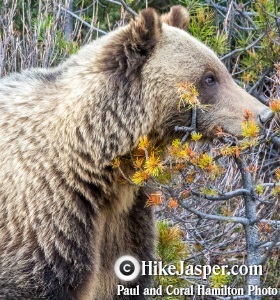 Having a hiking guide for this Ice Walk will serve both beneficial and educational. 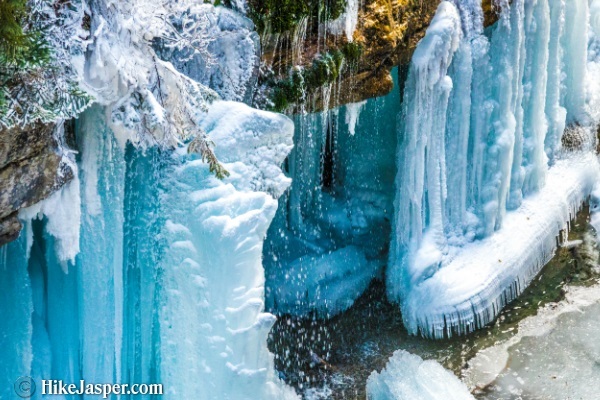 Make sure you have ice walking gear fixed to your hiking boots, as well as possibly hiking poles for added stability. 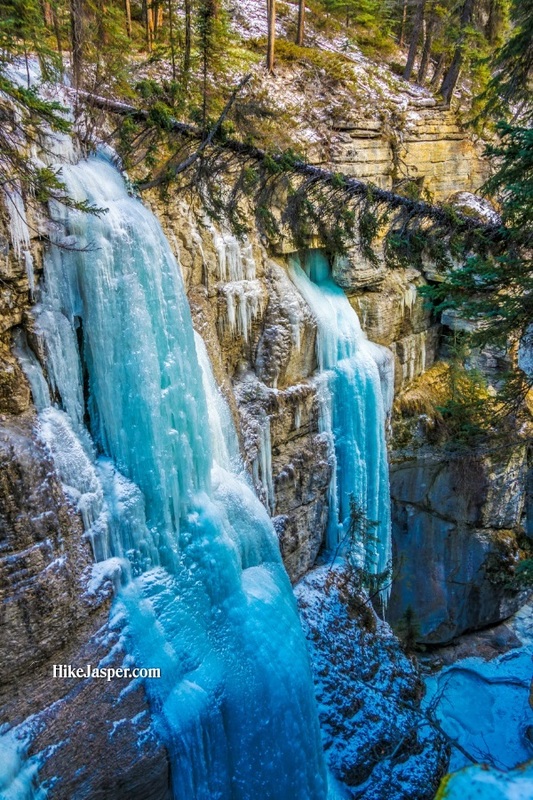 The Maligne Canyon Ice walk offers an experience of wonders in winter from a unique perspective. 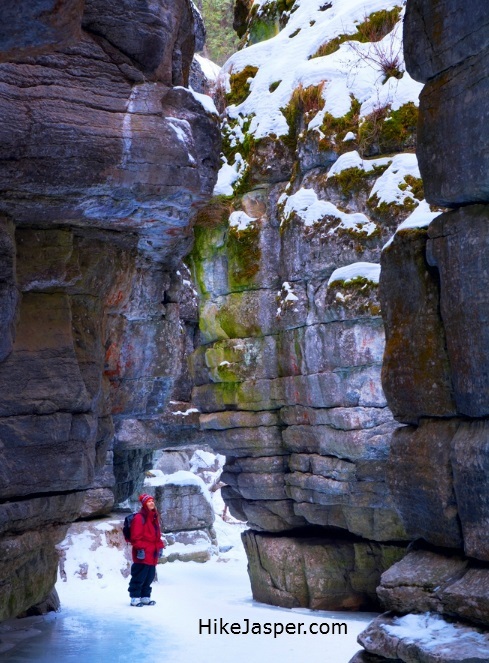 Guides lead you safely along Maligne's frozen canyon floor, through a maze of fascinating ice formations. 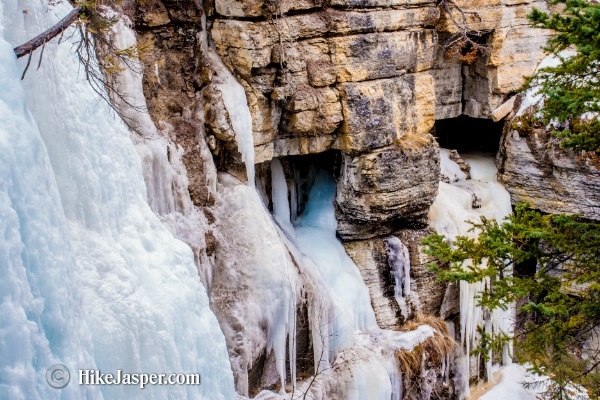 Observe the entrance to Maligne canyon's cave system, ice caves, fossils and towering frozen waterfalls stretching up to 40m along the canyon walls. We would suggest waterproof winter boots, ice cleats and helmets to help you stay warm and feel secure while hiking on the ice. 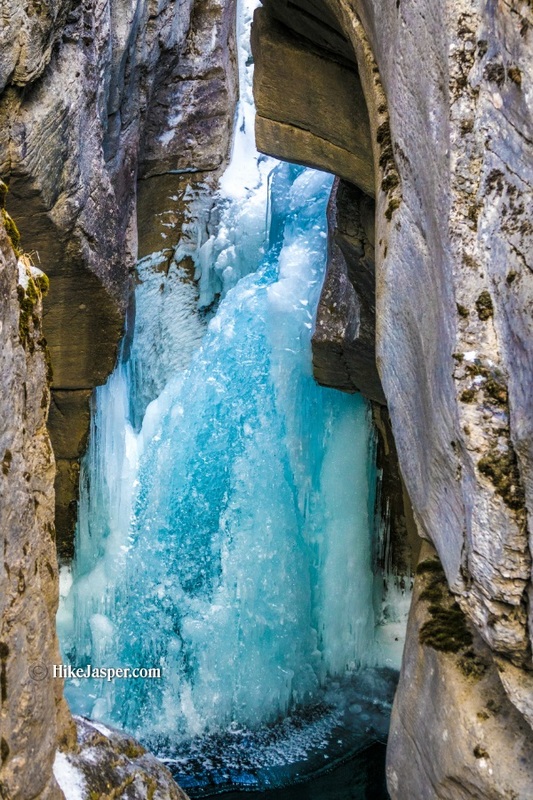 Witness Maligne Canyon's dramatic changes as winter reshapes the thundering waterfalls to sculptured ice. 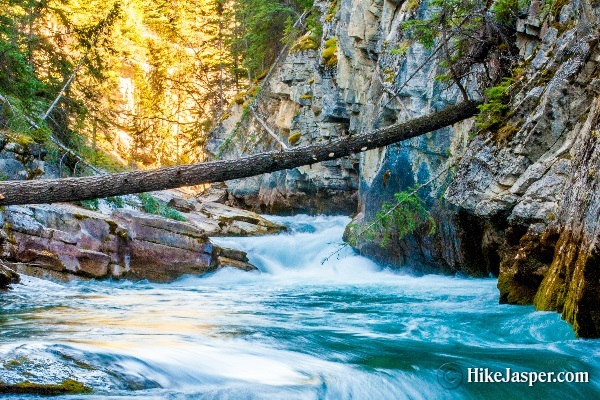 Hike along maligne canyon's upper rim, crossing bridges that allow access to many spectacular view points. Choosing the 4 km hike will offer experiencing ice sculptures and stunning views of frozen waterfalls cascading deep into the Canyon. Guides will be able to point out fossils and underground cave systems.